Hotchkis Tubular A-Arm - Pann Auto Performance - San Diego largest aftermarket automotive performance parts - What do you drive? Install the Hotchkis Sport Suspension geometry corrected Tubular Lower A-Arms on your vehicle and gain vastly increased handling and control. 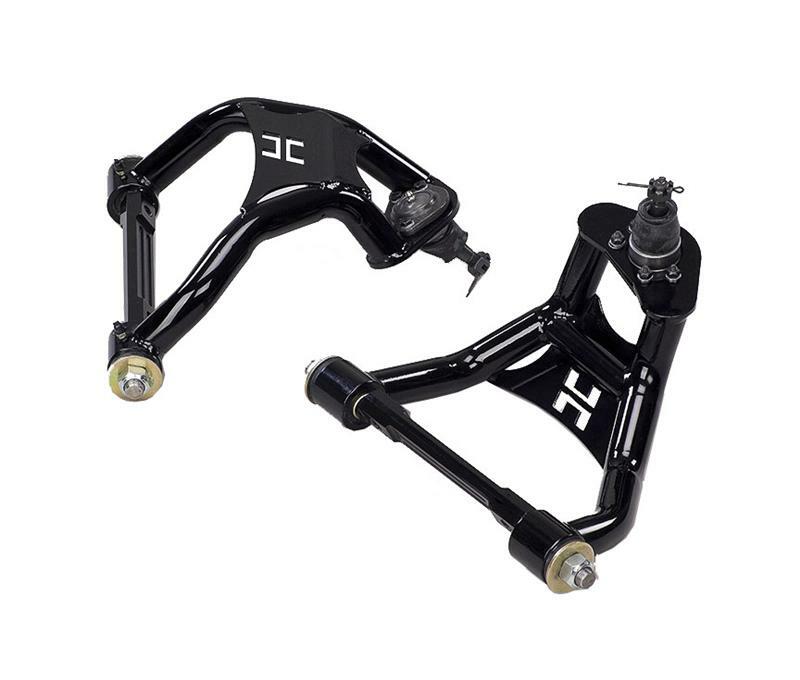 These TIG welded, bolt-on have re positioned ball joints for increased caster and improved camber curve resulting in improved stability and traction. Adjustable shims offer ride height adjustment for ultimate performance and a great look, regardless of engine and transmission combinations. Smooth operating Delrin bushings allow the arms to move through their travel easily. Finished in gloss black powder coat, the arms are ready to install and are complete with ball joints, bump stops, ride height shims, polyurethane coil spring locators and Delrin bushings.